Announcement Welcome to my etsy shop! Here you'll find eclectic, eco-friendly, removable wallpaper. Enjoy! Welcome to my etsy shop! Here you'll find eclectic, eco-friendly, removable wallpaper. Enjoy! So Rad! My Geometric Glam wallpaper featured on buzzfeed.com: 21 Rad AF Ways To Brighten Up Your Walls - Because you shine bright like a diamond! Hey! Just in, 4x6 samples of Vintage King Octopus design removable wallpaper. Art Paper is a dynamic design house studio based in sunny Los Angeles, California. We specialize in creating unique, eclectic, removable wallpaper, and art inspired home decor. 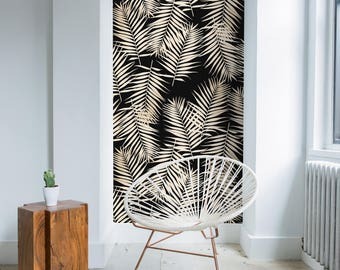 All of our wallpapers are fully removable for an easy and dramatic change in decor. Our wallpaper is Eco-Friendly, PVC-free, and FSC certified. We are focused on creating design that brings a fresh, creative, and art inspired space. Yey! Art Paper is all artsy stuff for you and your home. Enjoy!